Who doesn't know Martabak ? It's been a lifetime Indonesian meals. I remember when my germany friend came to Jakarta, i bought him a box of egg martabak. Surprisingly, he said it was delicious and asked me to have martabak for dinner or lunch everyday afterwards. Have to say that Martabak has been a real food icon in Jakarta, since we will rarely find them in another area beside Jakarta. Martabak has been known opened every night, the owners usually open their stall after 06.00 pm, don't know what's the exact cause, but yes you will not find any Martabak stalls open on the shiny days. So if you are craving of Martabak for lunch, unfortunately it's not your time yet ! What is actually Martabak made by ? 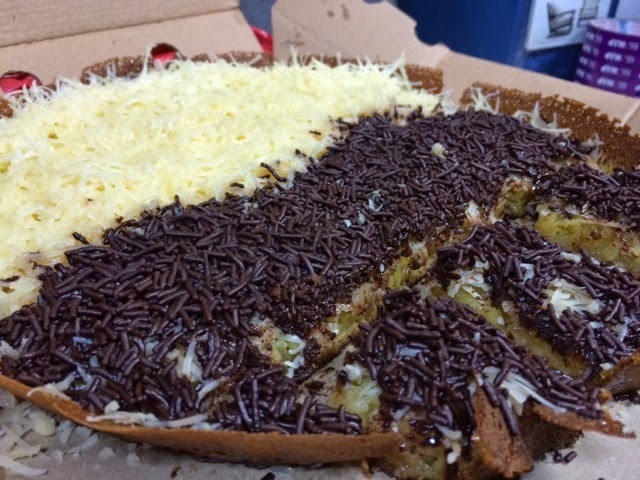 Generally, there are two kinds of martabak, the salty and the sweet. 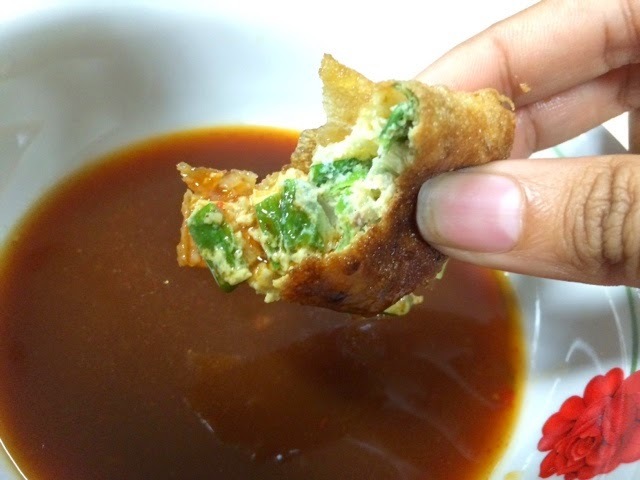 The salty martabak is made by egg, minced meat, and leak which are fried in a flat round frying pan. It was also served with the brown sauce. The sweet one is made by flour, milk and sugar with many kind of toppings offered. 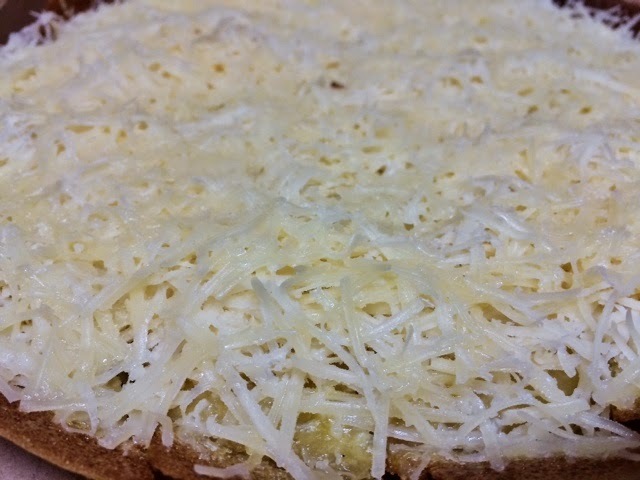 The most favorite is Cheese Martabak, the photo below can show you its yummyness haha. So, as i mentioned above that martabak does not commonly open on the afternoon. Now it's not a matter anymore since i just ate boxes of martabak for lunch yesterday !! Wow, how did i find them ? The development of technology nowadays has influenced every fields, including food&beverages bussines field. Food delivery is now more favorited by the urban people, since it provides some effectivities which we do not need to go outside and face the traffic jam just to have a lunch or dinner. 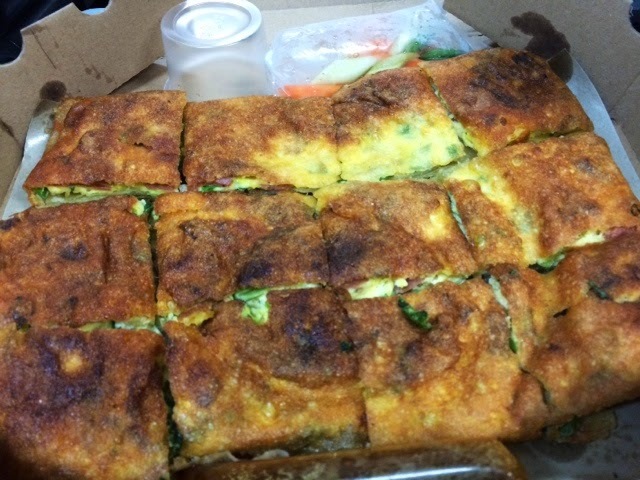 One of the restaurants that provide a delivery food is Martabak Sinar Topping. 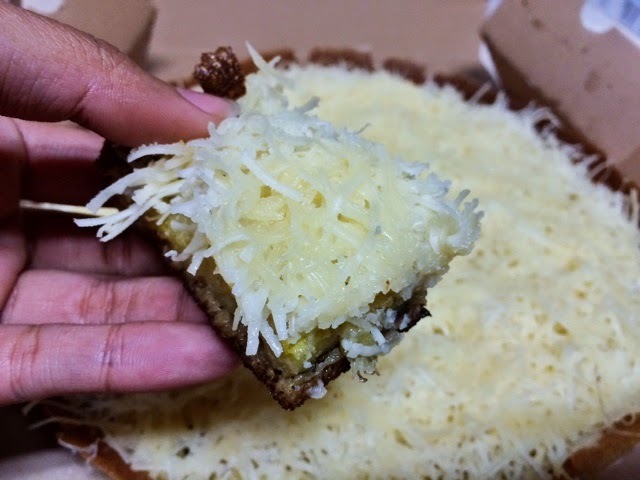 Martabak Sinar Topping is a resto which specifically sell martabak. They have many kind of toppings from the salty and the sweet one. Since i am a big fan of martabak, diet is now suspended haha. I tried 3 kind of martabak, Martabak Telor special (idr 35.000), Martabak telor sosis (30.000), Martabak coklat keju (35.000), martabak keju (35.000). The prices are almost between 30.000-50.000 with 30cm diameter dimension, it should be perfect to be shared with 4 persons. 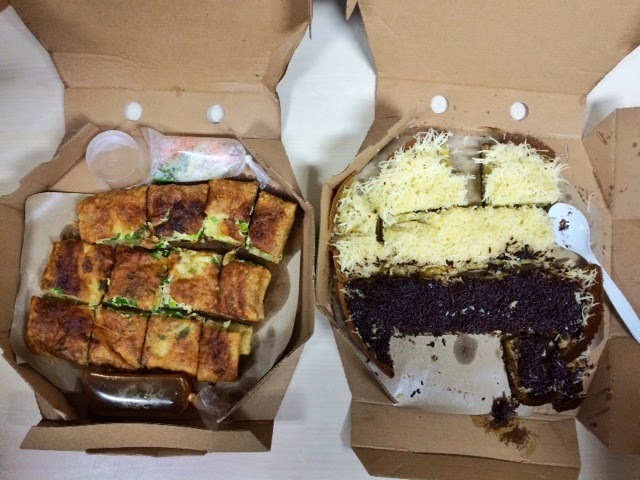 The boxes were delivered in different types of mainstream martabak's box. 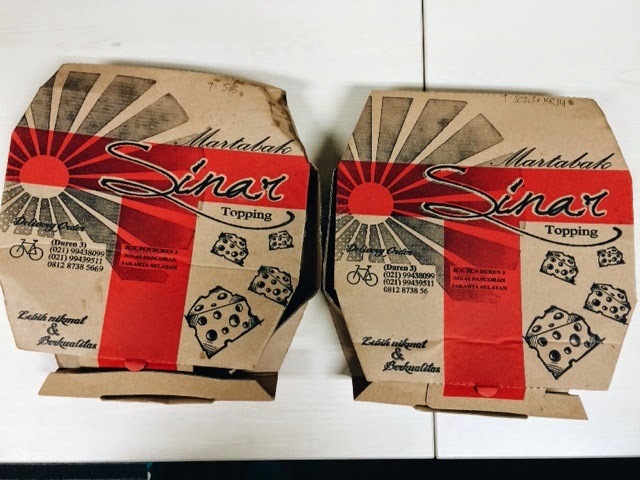 They packed the martabak with Pizza look alike box which makes it unusual unique. The delivery time was on time too. 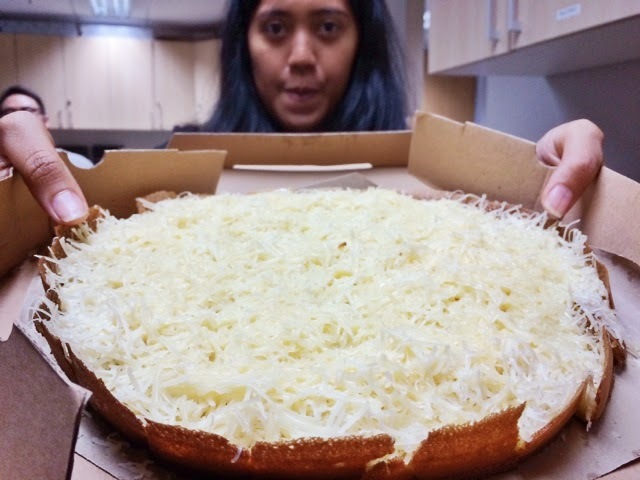 About the taste, they tastes good overall, though some parts of the martabak were overated fried, the toppings were all taste so good with high quality cheese and chocolates they served. The service was fine. Overall i can give the rate 7 of 10.